Did you know you can make yo-yo's out of newspaper? While experimenting with different mediums, I discovered newspaper worked well. So, what do you do with a newspaper yo-yo? Make a newspaper yo-yo quilt? So far, I've been using them for card embellishments. Curious to hear what all of you would use them for. Simple directions below on how to make a newspaper yo-yo card. First you will need to make a newspaper yo-yo. 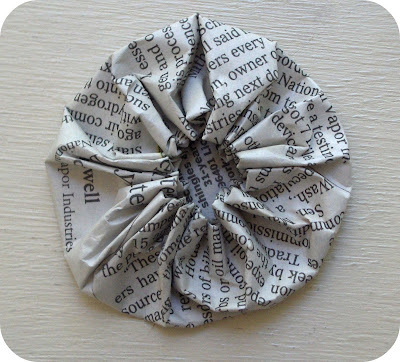 To make a newspaper yo-yo, follow these fabric yo-yo directions. The only thing you'll want to do different is cut and sew two circles together instead of one. This will keep the thread from ripping the newspaper. white card stock 8 1/2" by 5 1/2"
khaki card stock 4" by 5"
1. 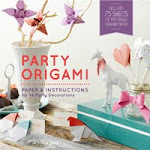 Fold white card stock in half. Color the edges brown with an ink pad. 2. Color the edges of the khaki card stock brown with an ink pad. With double stick tape, adhere the khaki paper to the white card stock. 3. 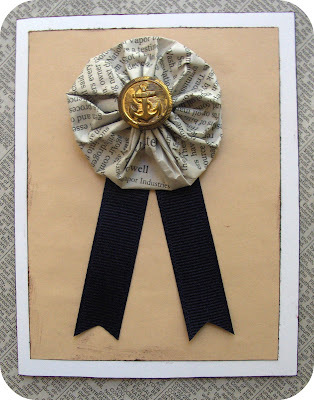 Fold ribbon in half and glue to card (refer to picture). 4. 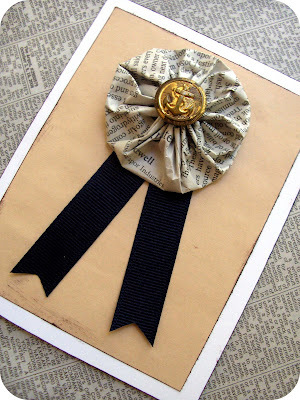 Glue newspaper yo-yo over the ribbon. 5. Glue button to center of yo-yo. Done. this is over the top fabulous...I absolutely love it!!!! Thanks for inspiring me! What a sensational idea. I think it would be a great card for Fathers Day. Newspaper? What a great idea, better than tossing the newspaper in the rubbish. I wonder how a trivet would go made from newspaper yo-yo's? A heap of little ones all joined together? you seriously amaze me what you can do with yo yos! We dont normally get the newspaper but my husband brought one home this morning...so it seems like a sign to me! ok now that basket is awesome! I am making that now too! Thank you so much for the guide in the right direction! You've been exploring so much yo-yo creations and they are all great arts! This card is good to give for dads...it looks like a classic! What a super great idea to work on newspaper! This is a very nice card! I like the newspaper Yo-Yo bit. Cool! 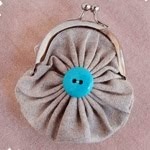 This is very very elegant!! Well done! Made this for a friend that recently ran a marathon and she loved it! Thanks for sharing this! I am loving this card! 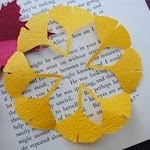 I've added it to my Recycled Paper Crafts post today. Thanks for sharing!! should the instructions say "two" circles instead of one?? I was having a hard time following because I read the to circles-I thought I was supposed to be connecting to something. Yes, it should read two! Thanks for catching the typo, I just fixed it. When making the paper yo-yo it works better if you use two layers so the paper holds up better. It prevents it from ripping when sewing.